1. 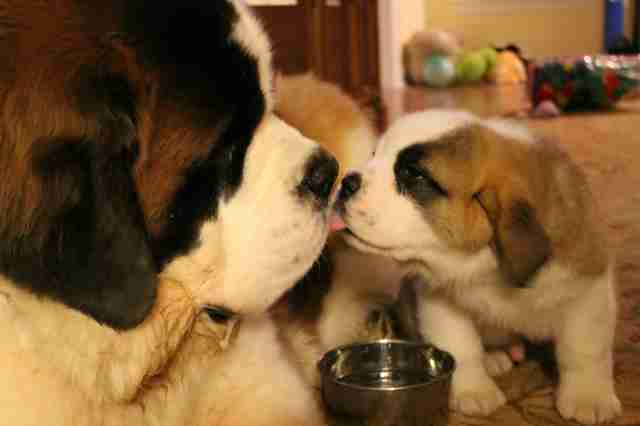 "Our new 8 week old saint bernard puppy meeting our 180 lb. grown up." 2. 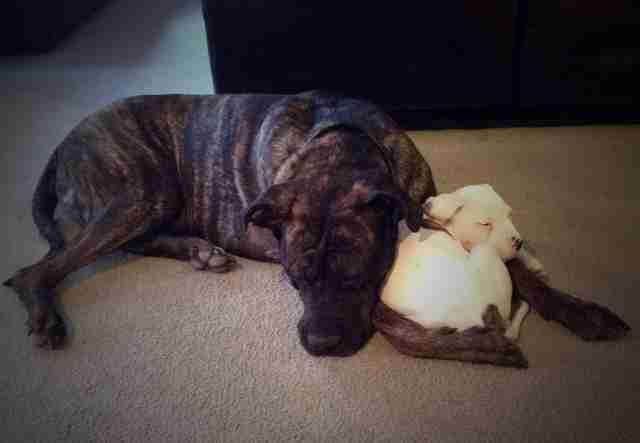 "Our mastiff hugging our new pit bull puppy." 3. 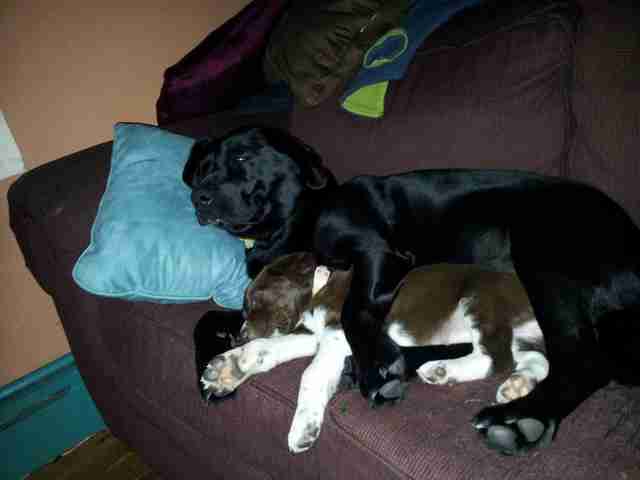 "Got a new puppy, the 1 year old will not sleep anywhere else." 4. 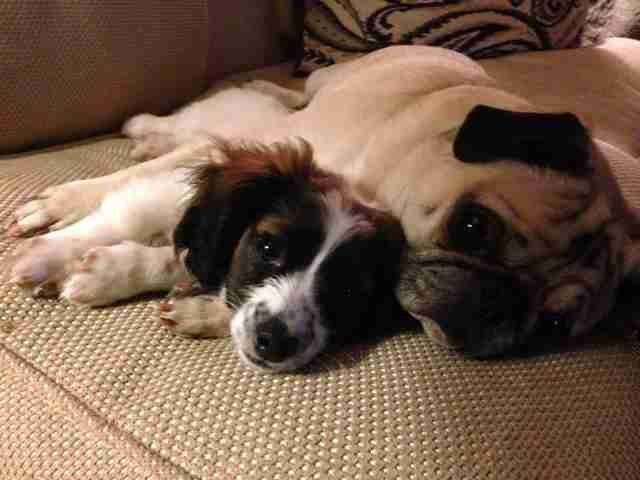 "And they said my old pug may not like the new puppy ... "
5. 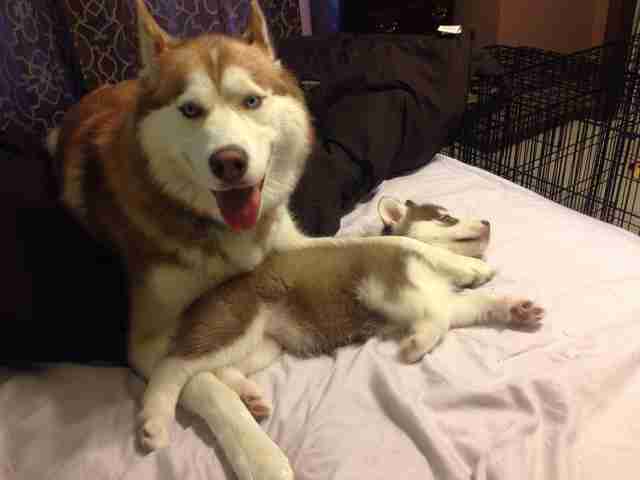 "Brought a new puppy home and was worried our dog (Stack on Jack) wouldn't like her. 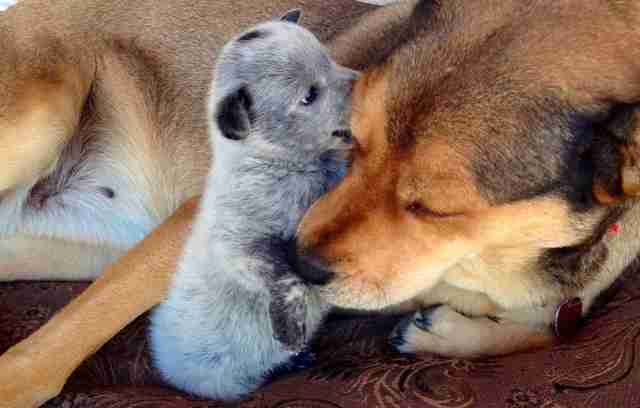 I think it's going to be ok!" 6. 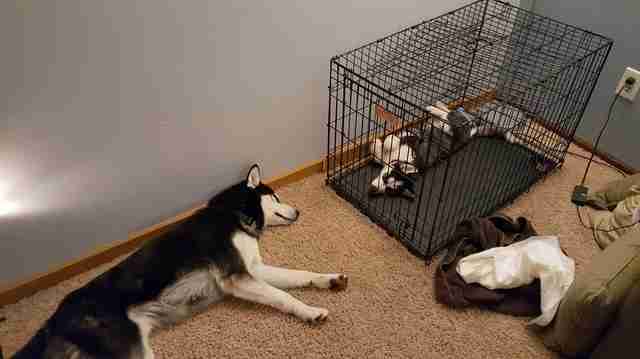 "So we adopted a new puppy. It's going alright." 7. 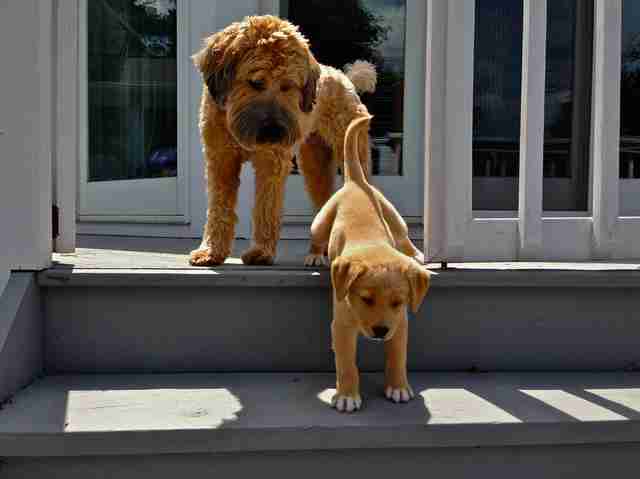 "My new puppy learning how to go down the stairs in front of my older dog. Their faces say it all." 8. 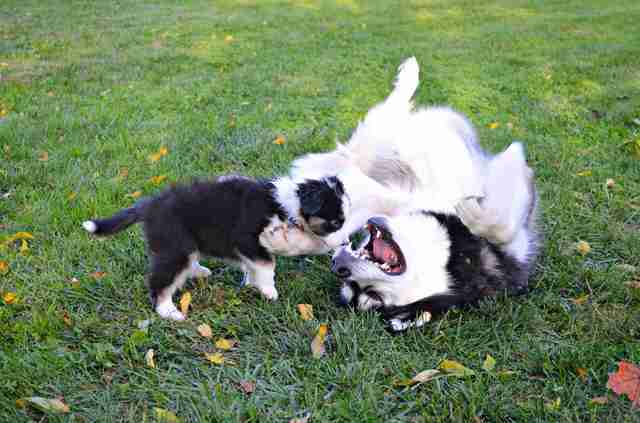 "I think my dog likes the new puppy." 9. 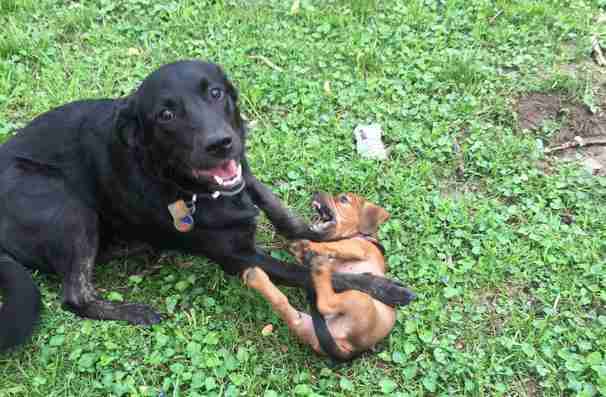 "I don't think my dog is having any trouble adjusting to the new puppy." 10. "Got a new puppy ... 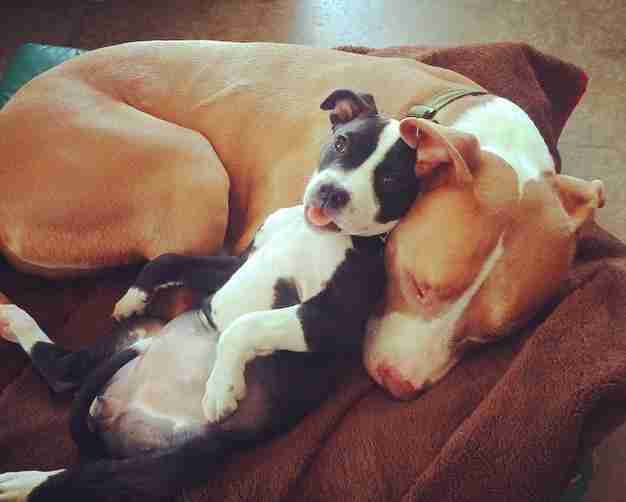 He's already taking after his big sister I think." 11. 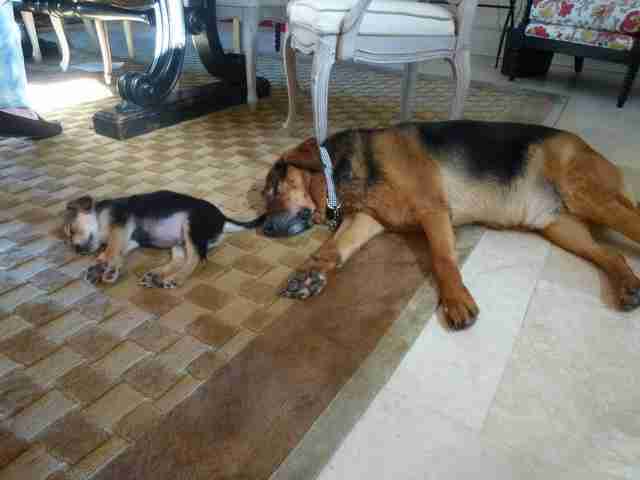 "He's still getting used to the new puppy." 12. 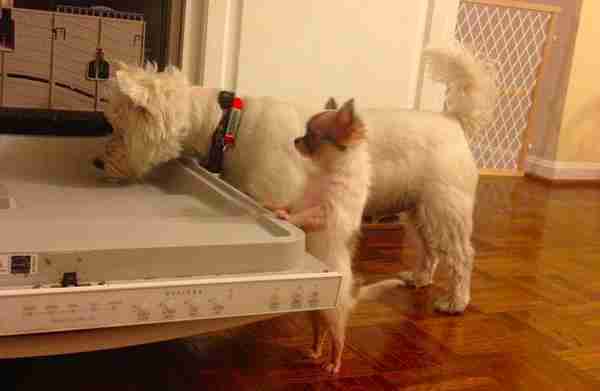 "My dog showing the new puppy where the best food is. (Warning: baby chihuahua cuteness)"
13. 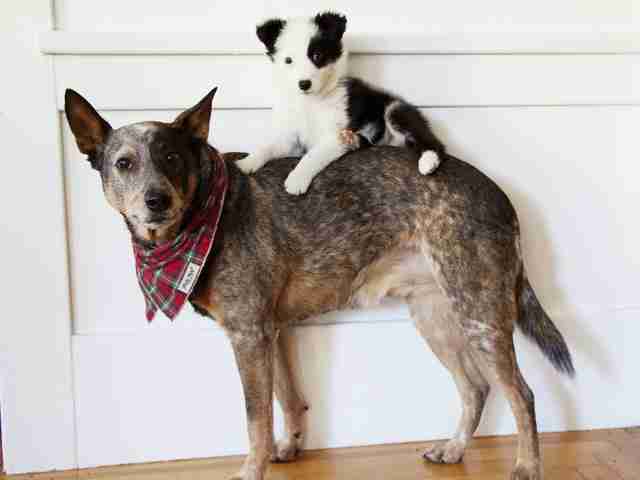 "Mocha is warming up to our new Blue Heeler puppy." 14. 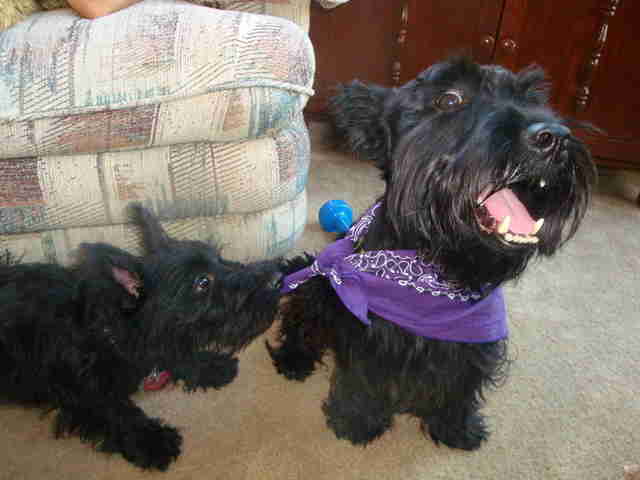 "My roommate got a puppy and Sasha got a new BFF." 15. 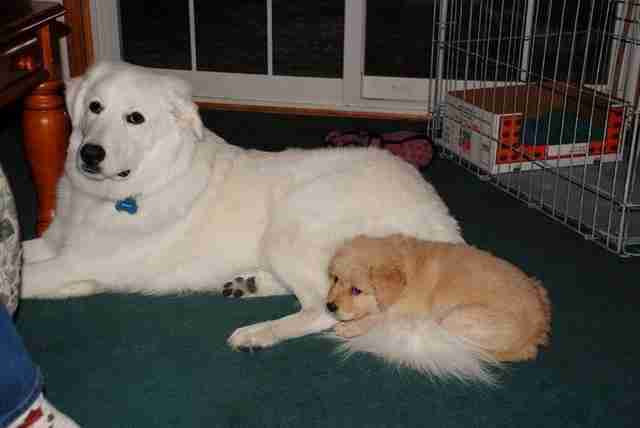 "Our old puppy loves our new puppy." 16. "My girlfriend just got a new puppy. 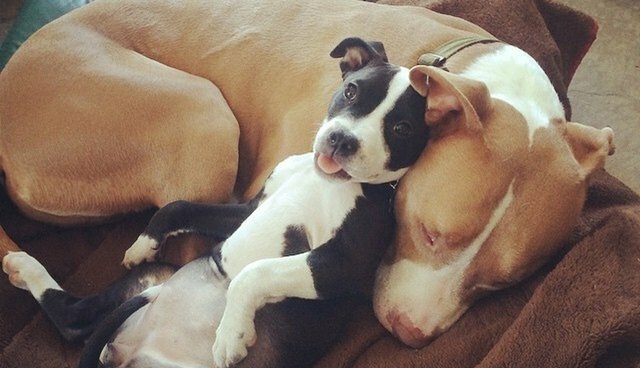 Great addition to her family." 17. 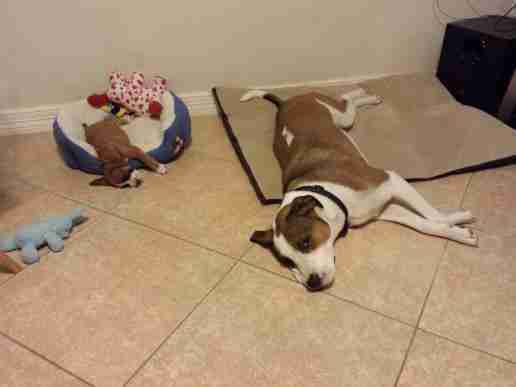 "I think the new puppy will fit in nicely." 18. 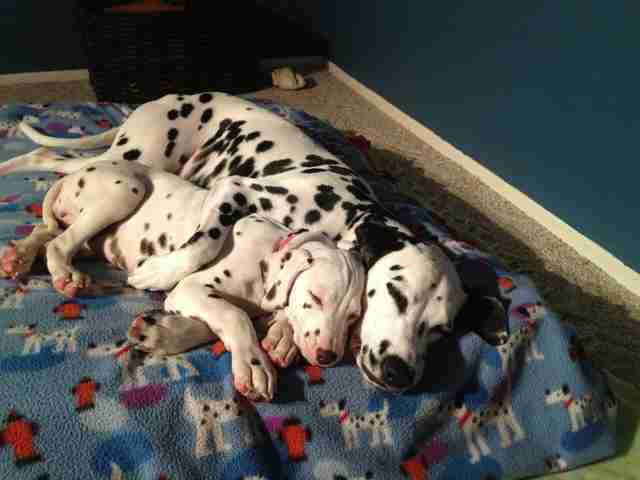 "I think my senior dog approves of our new Great Dane puppy." 19. "My friend got a new puppy. 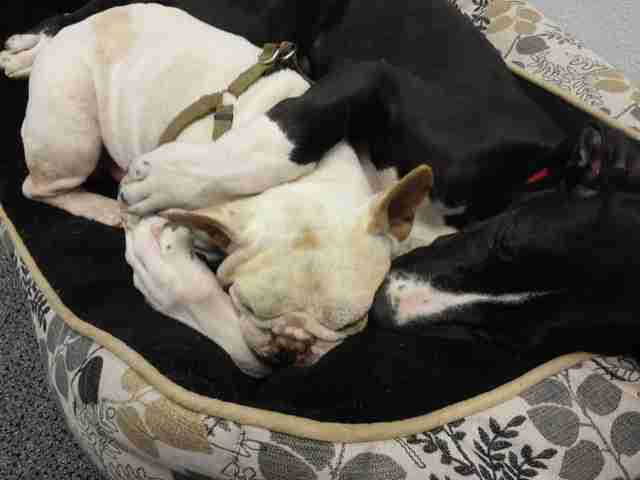 His other dog is adjusting well."